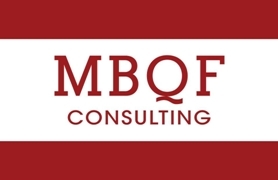 (Scottsdale, AZ) — MBQF Consulting founder and CEO Mike Noble today announced his objective to provide a quarterly service to inform and enlighten Arizonans on the public policy issues being debated in Arizona and around the Nation. Noble, who is not representing or retained by either side of Arizona’s Electric Deregulation debate being considered by the Arizona Corporation Commission, indicated that future topics would concern issues being considered by the Arizona legislature, the Congress of the United States, as well as multiple ballot initiatives. MBQF surveyed 516 high efficacy Arizona voters between August 5th and 7th, 2013. Voters were given a summary explanation of the deregulation issue, and then asked whether they supported, opposed or were undecided about electric deregulation. Issue explanations were randomized to present the question in a different order to each half of respondents. Among Arizona high efficacy voters, 32% of respondents say they support deregulation, 41% say they oppose it, and 27% remain undecided. Republicans are split nearly evenly, with 35% supporting deregulation to 38% who oppose it, and 27% still undecided. Just 26% of Democrats support deregulation, while 45% oppose and 28% remain undecided. Independent voters showed 34% support, 42% oppose and 24% remain undecided. For more information about this survey, or a summary of topline data and wording, please contact Mike Noble at the number above. Included in this survey were 516 autodial responses with rotating samples to ensure issue fairness. The Margin of Error for this survey is +/-4.3% at the 95% confidence level.